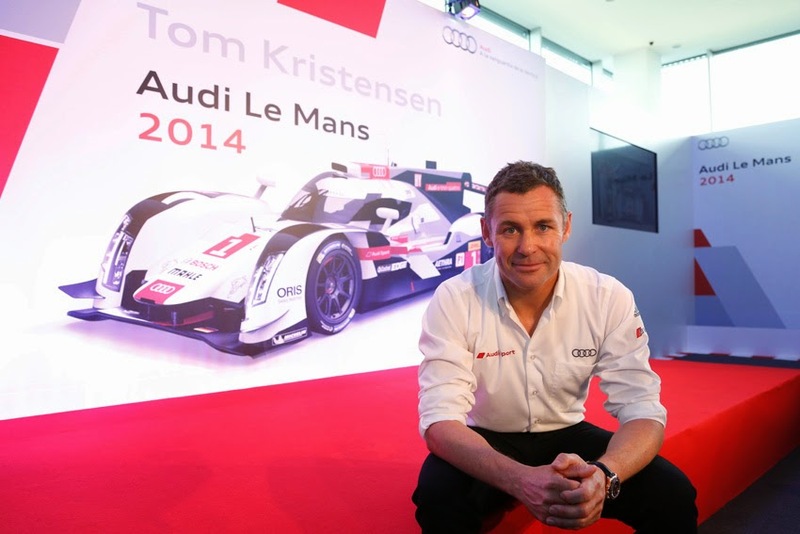 "Naturally, the retirement of a remarkable personality like Tom Kristensen is a great loss for Audi Sport Team Joest and the entire endurance racing scene," said Head of Audi Motorsport Dr. Wolfgang Ullrich. "We can understand his decision to quit at the pinnacle of his career. He's the last member of the generation that Audi began with in prototype racing. Tom has been competing in the FIA World Endurance Championship (WEC) as the reigning World Champion this year and shown that he's still one of the world's fastest and best sports car drivers. We'll miss him as a driver but he's going to continue to support us with his wealth of experience and his personality. We're happy that Tom Kristensen has been and will continue to be an 'Audian with his heart and soul." "I’'e had the privilege of driving for the best team and the world’s coolest automobile manufacturer for 15 years," said Tom Kristensen. "I've had great team-mates and worked together with fantastic people. With Audi, I've been able to win many titles and numerous races as well as experiencing some unforgettable, emotional moments. My string of victories in the Le Mans 24 Hours would not have been possible without Audi. Leaving this team as a driver is hard for me. But the day had to come at one time or another. I can only thank Audi and the entire staff for the great time I've had and look forward to my new tasks for the brand and the team of Audi Sport." Dr. Wolfgang Ullrich got the Dane to join Audi at the end of 1999. Together with Frank Biela and Emanuele Pirro, Tom Kristensen, in the 12-hour race at Sebring (USA) in March of 2000, achieved Audi's first victory in a sports car race, plus the brand's first victory in the Le Mans 24 Hours in June of 2000. In the Audi R8, the trio Biela/Pirro/Kristensen was the first driver team in history to win the world's most famous endurance race three times in succession. With Bentley and two Audi customer teams, Kristensen, from 2003 to 2005, celebrated three more triumphs at Le Mans, marking six consecutive wins - the iconic endurance race had never before seen such a string of victories. In 2008 and 2013, the Dane took two more victories, in the new Audi R10 TDI and the Audi R18 e-tron quattro. With a track record of nine victories in total, Tom Kristensen is the most successful Le Mans driver of all time. Seven of these wins he celebrated with Audi. In 2002, Kristensen won the American Le Mans Series in the Audi R8. And in the DTM the Dane showed his class as well. With nine pole positions, four race victories and 18 podium places, he was one of the most successful and best drivers of the Audi A4 DTM from 2004 to 2009. However, the DTM, at the beginning of 2007, was also the series in which he had the most severe accident in his career that kept him from racing for several weeks. Kristensen owed his ability to make a quick comeback to his outstanding fitness back then. The Dane is still a role model in this respect and will increasingly support Audi Sport in this area in the future. His last race as a professional race driver will be the finale of the FIA World Endurance Championship (WEC) in Brazil on November 30. Tom Kristensen will be tackling it in the car bearing the number that fits him best: car number '1'.